Lisa Orinn is the Founder of Music Play Studios and Director of Music Together® of Hudson County. Lisa began teaching music to children in 1995, when she was introduced to “Music Together”, the internationally renowned music program for children and their families. A year later she became a Music Together Director and has since been honored by the Center for Music & Young Children for bringing music into the homes of more than 15,000 families. Lisa is an accomplished vocalist who began performing in elementary school. She attended Talent Unlimited High School and continued her theatre and musical studies at the New York Academy of Theatrical Arts, HB Studios and the American Musical and Dramatic Academy in New York City. She then became one of the founding members of The Actors Annex East in New York City. Lisa was also a member of the band “Blues In Progress” and has performed her solo cabaret and nightclub acts in New York venues such as The Park Royal Hotel, Tramps, Caroline’s, Kenny’s Castaways and The Bitter End, as well as many other clubs throughout the State. Amhara is a singer, multi-instrumentalist, director, conductor and music educator who has over 15 years’ experience teaching music to children of all ages. Her love of all genres of music developed from an early age when she would be literally rocked to sleep by her father’s rock band practicing in the basement, and later on when she and her grandfather would belt out golden oldies of the 30’s and 40’s on the piano. 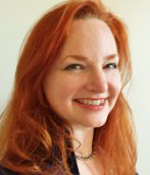 She holds Bachelors and Masters Degrees in Music Performance, and, in addition to being Youth Orchestras Director for Turtle Bay Music School, directs children in musical theatre and choirs, as well as teaching private voice/piano lessons. Amhara is passionate about having fun with music and is thrilled to share that passion with our youngest musicians as part of Music Together. Erin Lee Kelly began performing as a teenager in Kingston, Ontario, moving to New York to study at The American Musical and Dramatic Academy. Upon graduation she spent several years as an actress and choreographer, performing in musicals, plays and films before choosing to focus on music and theatre for children. 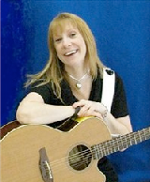 Her first CD of original children’s music entitled Someone’s Gotta Wanna Play, created with Marci Appelbaum, was awarded Best Recording for Younger Children, 2005 by the Children’s Music Web. Their wry lyrics and layered harmonies garnered them widespread attention as “The Indigo Girls of childhood music” (WLUW-FM 88.7, Chicago IL.) Their follow-up, Snowdance, debuted on Rosie O’Donnell’s R Family Cruise to Alaska, and went on to win two ASCAP Awards for excellence in writing and the Family Choice Award. Erin Lee was recently elected to, and served on, The Children’s Music Network Board of Directors. She can currently be found performing family concerts fronting Erin Lee and the Up Past Bedtime Band (www.erinleemusic.com). Dave has wanted to be a musician and entertainer since age 10, when he first picked up a tennis racket the wrong way to strum along with Def Leppard videos in the early days of MTV. As an amateur musician, Dave fooled around with various marching bands, rock groups and even day jobs before “going pro” as a registered Music Together teacher in 2002. He has been known to play guitar, banjo, bass, tuba, mandolin, harmonica, drums and kazoo, though not all at the same time. Nowadays, in addition to teaching Music Together, Dave sings and plays lead guitar for The Fuzzy Lemons, the metro area’s hottest family-friendly rock band. He lives in Hoboken with his wife and son and a polydactyl cat named Morpheus. 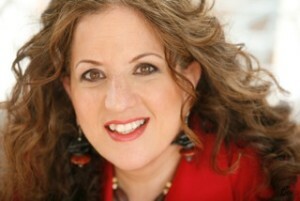 Catherine Rubin has been singing professionally for the past fifteen years. She studied classical and jazz voice at Ithaca College in New York State. Upon graduation, Catherine relocated to Austin Texas for three years where she began a career as a singer/songwriter of adult contemporary music. She moved back to her home state of New Jersey in the mid-nineties and released her first album. Since then, Catherine has released three albums and has had a song featured in an Independent film. Her interest in the healing properties of music led her to study music therapy at Montclair State University. 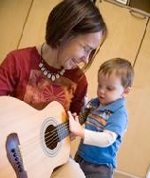 She started teaching Music Together after taking her son Max, to the classes and falling in love with the program. Catherine also performs at children’s parties doing Music Together and other popular children’s songs. Marianna Tsartolia was born in Athens, Greece where she received her BFA in Dance from the State School of Dance. A recipient of scholarships from the Alexander Onassis and Merce Cunningham Foundations, Marianna graduated from the Merce Cunningham Studio, NYC in 1997. She performed in the US and Europe with Mandafounis Modern Dance Company, Octana Dance Theatre, Connecticut Ballet and Analysis Dance Company, among others. She joined RIOULT Dance NY in 1998. She has performed numerous world premiers and repertory pieces with the company around the globe as a soloist and lead dancer until 2014. Since 2000, she has worked as a teaching artist, as the Educational Artistic Advisor and later as the Director of Youth Programs for RIOULT’s Arts and Education program “DanceREACH”. Marianna has also taught technique and repertory workshops in the US, France, Greece and Bermuda. She has restaged RIOULT’s choreography for the Frank Sinatra School, Civic Ballet, in Bermuda and the Hellenic Dance Company in Athens, Greece. She has served as the assistant to the choreographer, for all the children’ s parts, in the productions “Small Steps, Tiny Revolutions”(2008) and “Fables”(2011). Since then she has restaged these productions numerous times in U.S and France. 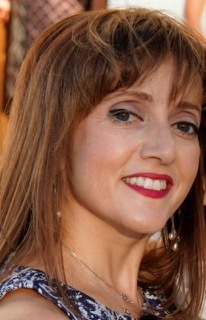 Marianna created the “RIOULT Summer Dance Camp “program in 2010 and the “RIOULT Modern Dance Series” in 2013, serving as a master teacher and choreographer. She has choreographed and presented her work for Youth Ensembles of RIOULT and CIVIC Ballet. Marianna also holds a Certificate in Fashion Design from Parsons and designs costumes for dance.